It’s built with the WP Email Capture plugin (both the free and premium versions) in mind to collect names and emails of your constituents and The Events Calendar plugin to display all of your upcoming events. There’s also an easy to set up donation button in the header. Whether Democrat, Republican, or any other type of party, this theme will handle any politician or cause. 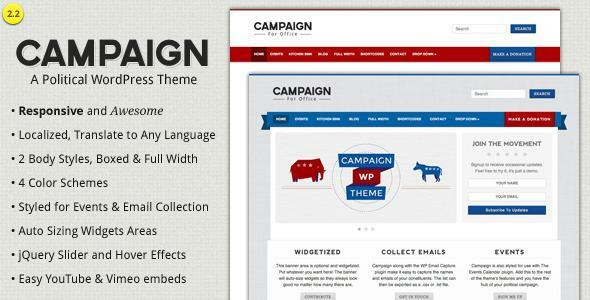 Share the post "Campaign WordPress Theme"